While architecture and design have changed over time, the popularity of cream as a house and interior colour has not diminished. This hue is simple yet elegant and very soothing on the eye. Plus, it is a tone that goes very well with natural materials like wood, stone and brick. 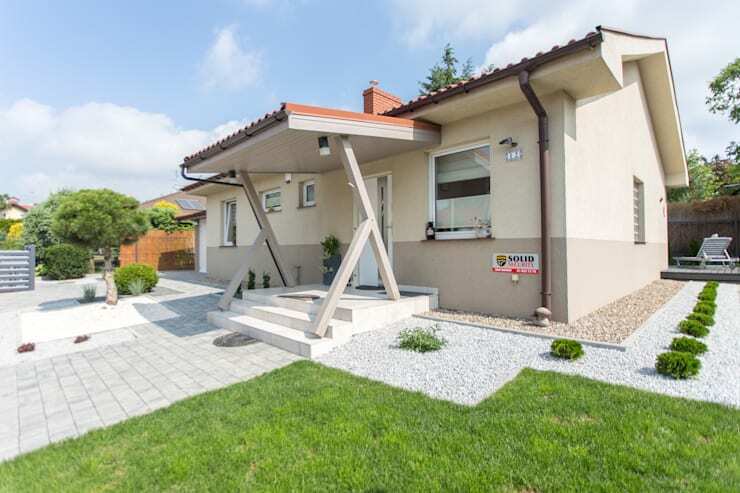 So, it can be used without hesitation for both the exterior and the interior of a residence. And today’s home tour will let you explore a charming one storey house that is rendered mostly in cream. Credit for the execution goes to the interior architects at Kraupe Studio. Two different shades of cream have been used on the exterior walls of this modern house to create a simple yet peaceful and cosy look. It allows the unique structural details of the porch to shine and is duly contrasted by red roofs. 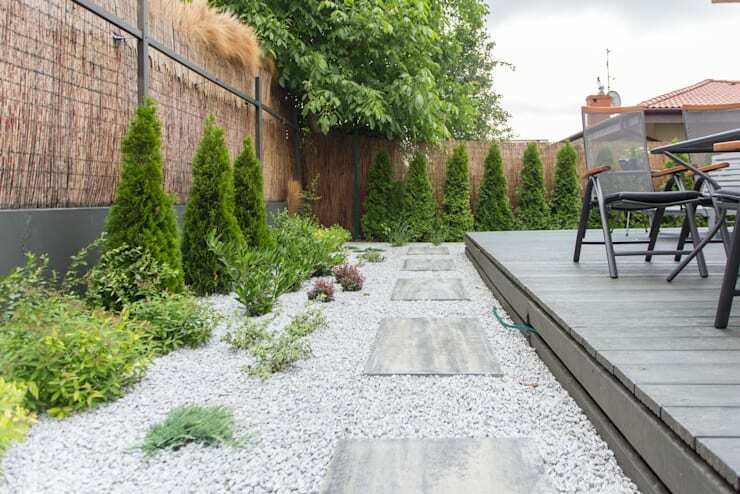 White pebbles and manicured green grass surround the house for a beautiful appearance. 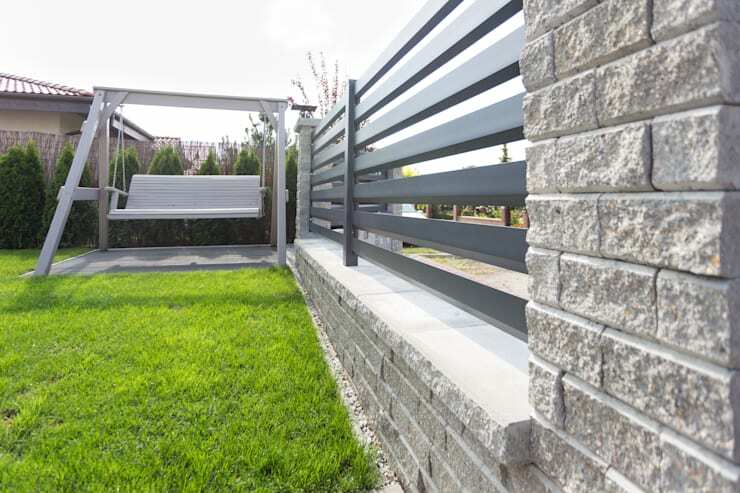 Rendered in grey stone and sleek black steel, the fence looks powerful and very elegant. But what lends it softness and warmth is the cream frosting between the metal and stone. This cream hue is beautifully contrasted by the lush green grass too. This spacious and bright hall looks welcoming because of the lavish use of cream and the trendy lines. 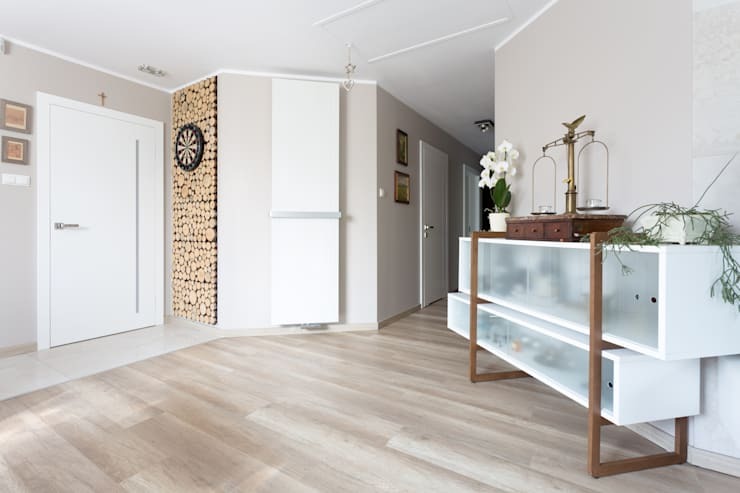 A wall panel composed of wooden pieces, metal scales, a very fashionable white and wooden cabinet, and flower vases add to the visual interest and personality here. The home’s layout is such that fresh air gets to flow through the large windows and permeate all parts of the house. Both the open kitchen as well as the trendy dining space receives tons of natural light, and the brightness is enhanced by the generous amounts of cream here. The shades of cream balance the warmth of wood as well. 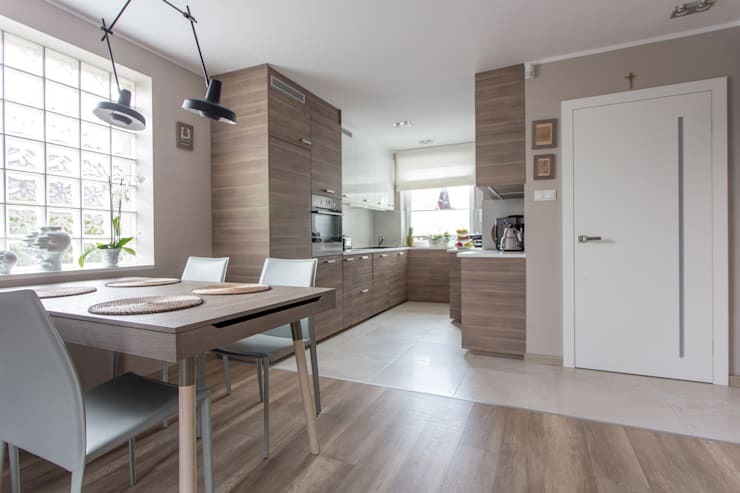 Wood and cream make for a very classic combination and cosy ambiance in the kitchen. 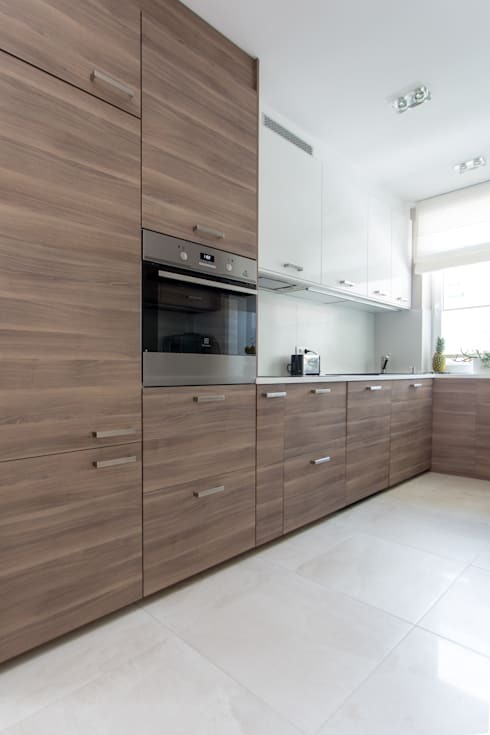 Smooth and minimal cabinets paired with ultramodern appliances make cooking a dream! 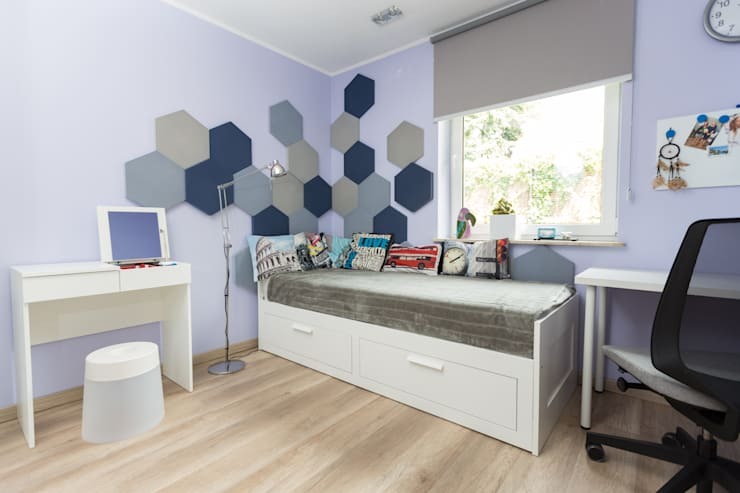 The cream hue acts as the backdrop for quirky hexagonal wall tiles in blue and grey, a stylish study station, a cosy bed with inbuilt drawers and a computer desk. A large window brings in adequate sunlight to brighten up the space, while the colourful printed cushions add fun and character here. 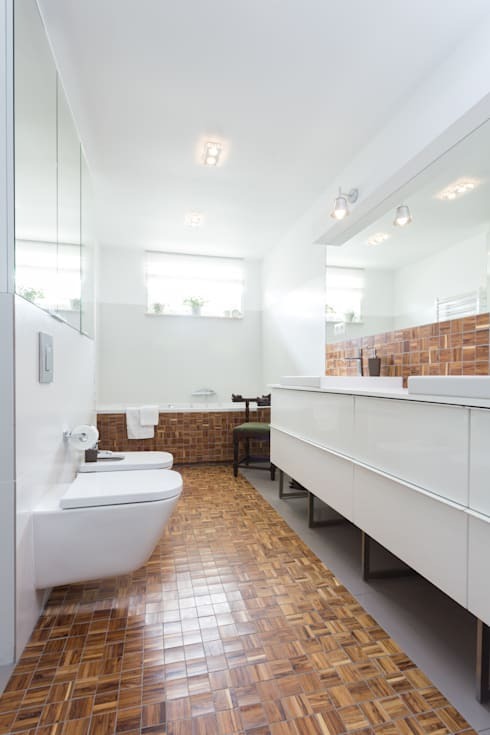 The mix of cream and wood-finish tiles on the floor and the bathtub make this trendy bathroom a serene and warm getaway from stress. The fashionable sanitary fixtures, a storage-friendly sink unit and large mirrors make for a comfortable and bright experience here. Cream once again dominates the garden path through stone steps and pebbles. A rich assortment of shrubs and trees lend softness and beauty to the space, and helps the inhabitants to stay close to nature.